The family requests that in lieu of flowers memorials be made to the Lake Stockton Healthcare Facility, PO Box 945, Stockton, MO 65785. 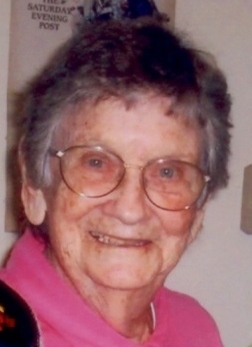 Vivian Ellis, age 87, of Fair Play, Missouri passed peacefully from this life on Sunday, March 11, 2012, surrounded by the love and honor of her family. Mrs. Ellis was born Vivian Vickers on November 28, 1924, to Elmer and Mona Vickers of Dederick, MO. She was married to William Ellis who preceded her in death in 1997. Vivian was known by all as a person who deeply cared for others both in her personal life and in her 26-year career as a food service provider for the children of the Kansas City Missouri Public Schools. When she and her husband retired to the Lake Stockton area she continued this life of service by volunteering at the Stockton Nursing home for 15 years where she also was lovingly cared for in her final days. Vivian is survived by her beloved daughters: Sue Kemp and husband Garry of Lee’s Summit, MO and Vickie Otten and husband Jim of Lawrence, KS. She also leaves a beautiful legacy of grandsons: Craig Evans and wife Christine of San Diego, CA and Matt Bray and wife Juvy of Lee’s Summit, Mo; granddaughters: Jennifer Genneralli and husband Tom of Overland Park, KS, and Tammy Kemp of Kansas City, MO, as well as great-grandchildren: Madaline Branstetter, Austin and Hailey Bray, Lexi Evans and Julia and Thomas Genneralli. All of Vivian’s family and friends feel blessed to have had this strong, independent and loving soul in our lives for so many wonderful years. We will carry the memories and love she shared with us all the rest of our days and know God’s love was both embodied in her and with her now. Services will be held at Bland-Hackleman Funeral Home, 3130 E. Hwy 54, El Dorado Springs, MO 64744 on Saturday, March 17, 2012, at 1:30 p.m. Visitation will be held from 12:30 to 1:30. Rev. Brent Bland will officiate. Burial will follow at Mt Vernon Cemetery under the direction of Bland-Hackleman Funeral Home.